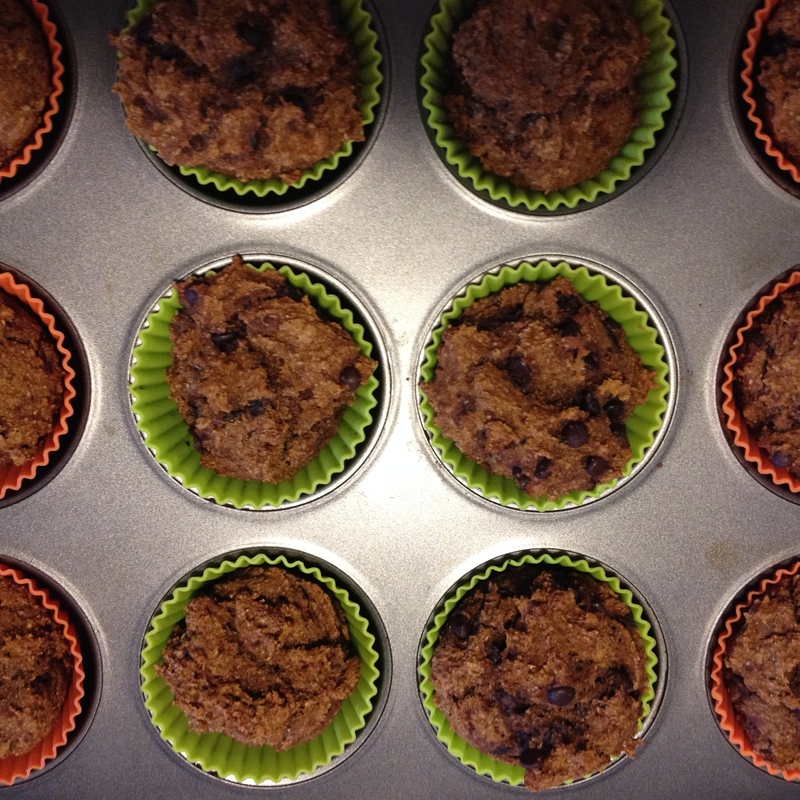 If you love pumpkin, and if you love muffins, if you love EASY, you’ll love this recipe. These are very easy to whip up. I set out the ingredients and all my utensils the night before so everything is ready to go. Makes it a snap the next morning. I suggest letting them sit for 30 minutes after baking – to cool and to enhance the flavor – BUT, I know you’ll be tempted to try one sooner (that’s ok) but the flavor does pop when you wait the full 30 minutes. They will stay fresh in an airtight container for a few days … if they last that long. 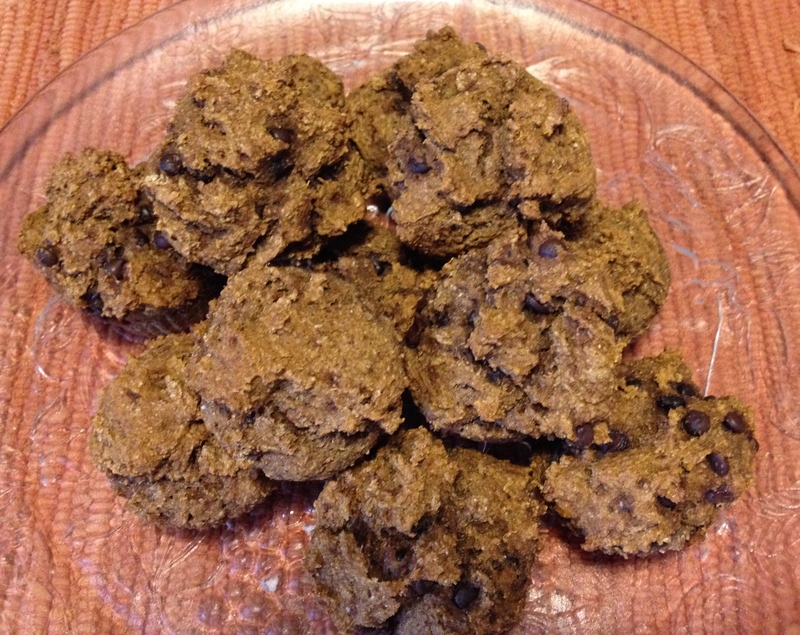 So here is the Easy Pumpkin Chocolate Chip Muffin recipe. I’ve listed ingredients/directions using sugar and one recipe using dates, if your goal is to remove all sugar from your diet. The sugar recipe version is listed first. In a large mixing bowl, mix together the flour, sugar, baking powder, baking soda, and spices in a large bowl. In a small mixing bowl, add the pumpkin, water, applesauce, chocolate chips and nuts. Add wet mixture to the large mixing bowl and stir until blended. Fill the prepared muffin cups to so they fill the tin plus a bit more and bake 25–30 minutes, until the tops bounce back when lightly pressed. Remove from the oven and let stand 1–2 minutes; then remove the muffins from the pan. Cool for 30 minutes before eating. They can be stored in an airtight container. I have also made mine without sugar, using a date paste recipe. It tastes very good and it’s very easy to make. Directions for that are following: will be at the bottom of this page. Are you trying to remove sugar from your diet? If so, here is how to make a date sugar paste for these muffins. You can use this paste for other muffin recipes as well. The night before you want to use the date mixture, take 5 pitted Medjool (these are the big fat kinds) and cover them generously with water and soak in the fridge overnight. 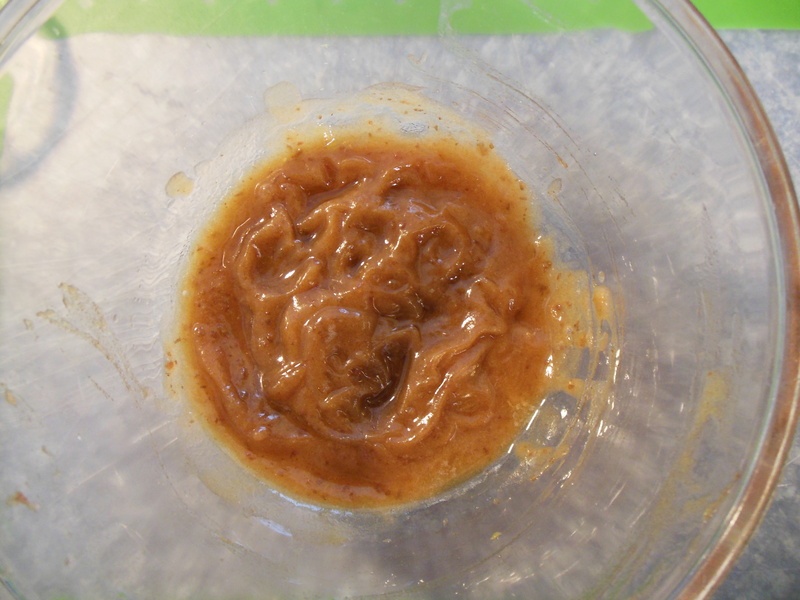 The next day, blend to rich paste in small food processor by adding 1/2 cup of water from the soaked dates. 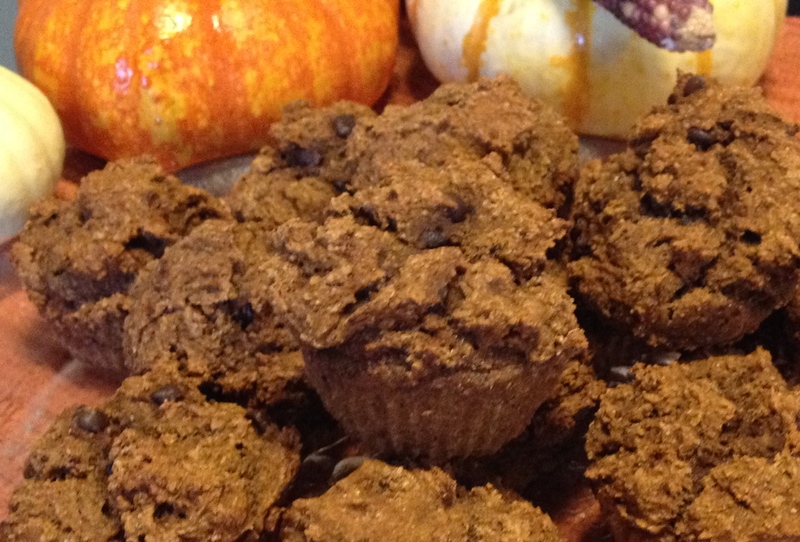 Here’s the sugarless, but yummy, pumpkin muffin recipe using dates. In place of ½ cup sugar: take 5 pitted Medjool dates, covered generously with water and soaked overnight. 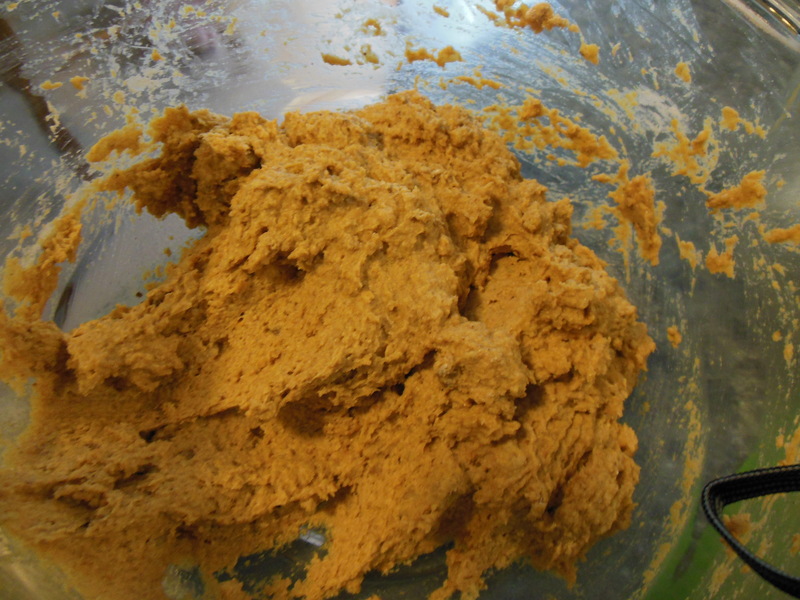 Blend to rich paste in small food processor or blender with 1/2 cup of water from the soaked dates. This also replaces the 1/2 cup of water listed in the recipe above. 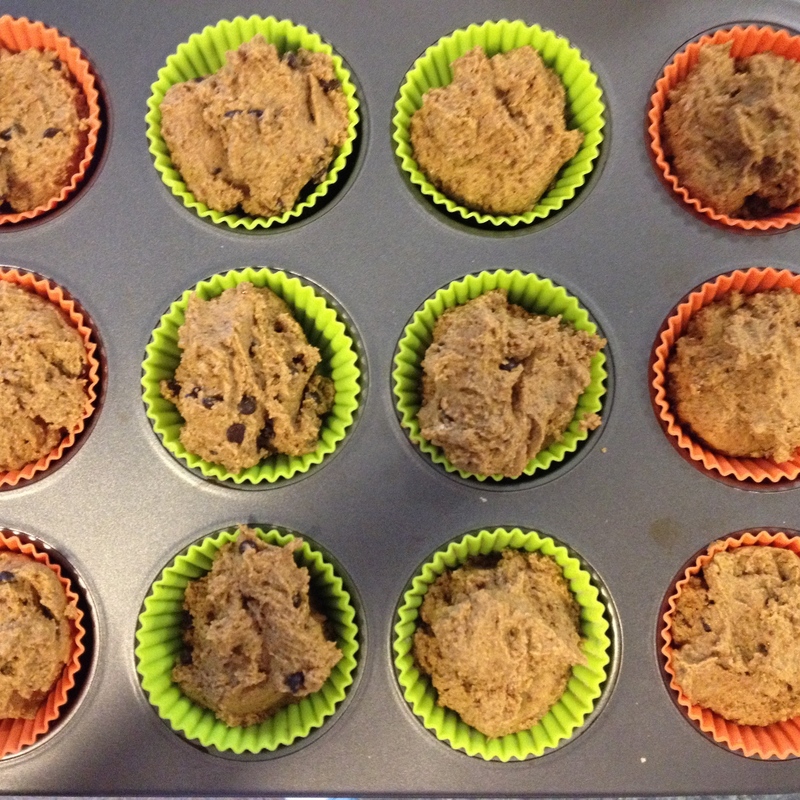 Line a 12-cup muffin pan with paper liners (or use a nonstick pan) or use silicone muffin pans. 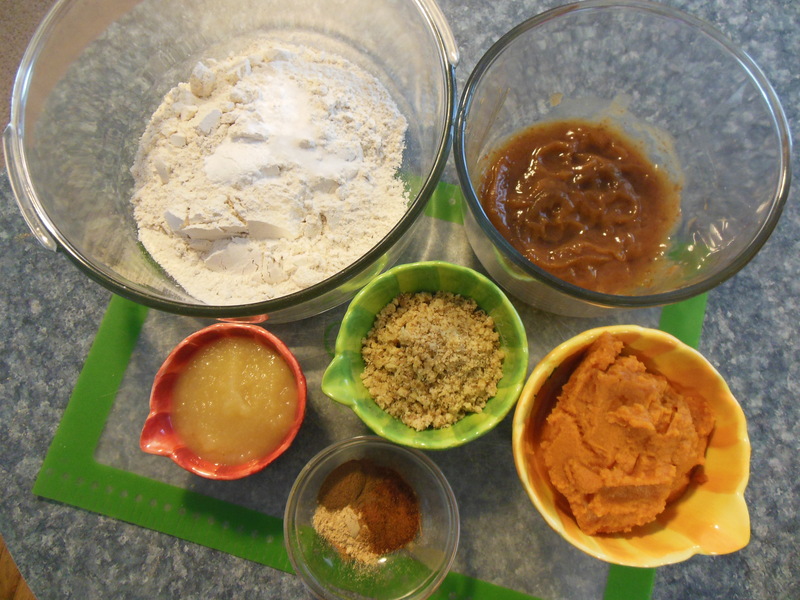 Mix together the flour, baking powder, baking soda, and spices in a large bowl. 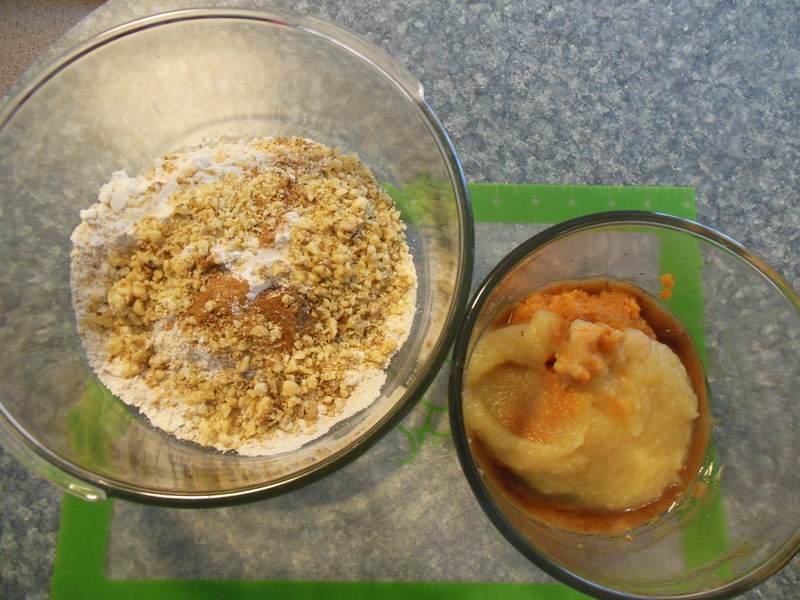 Add pumpkin, date paste, applesauce, and walnuts and stir until just mixed. Fill the prepared muffin cups to so they fill the tin plus a bit more. Bake 25–30 minutes, until the tops bounce back when lightly pressed. Remove from the oven and let stand 1–2 minutes; then remove the muffins from the pan. Cool for 30 minutes before eating … well, if you can wait that long … I can’t! Ha Ha…. Store in an airtight container. These muffins are so sweet, moist and delicious. They taste just as good a few days after they are baked too. I like them plain, with a bit of butter, just to pop the flavor. The other day I tried two with almond butter for a quick, on-the-road breakfast with a banana and apple. They pack well! Make them, eat them, enjoy them!